Our Volunteer of the Month is Joseph Phiri, a Zambian volunteer who has devoted so much of his time to helping out at Fountain of Hope Library. Joseph is a recent law school graduate who was attracted to Lubuto because of his interest in education and children's rights. He volunteers at the Fountain of Hope library from 9 to 5 Monday through Friday, and has quickly become a key part of the Fountain of Hope team. 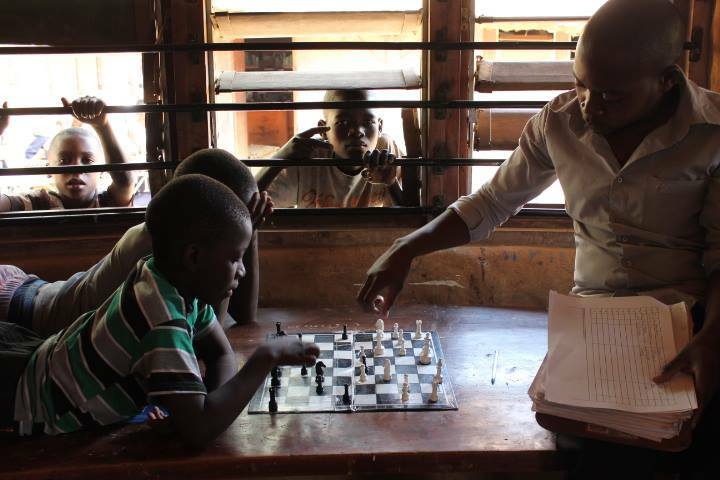 He also started and currently leads a Lubuto chess club that is extremely popular with children of all ages.